If you’re like me, you may tend to “blow it out” on Saturdays and eat HORRIBLE after a week of eating healthy. I’m not a nutritionist, but I’ve heard you need to have one “cheat” day and satisfy your deep cravings. This tends to be the case with me, and I normally bake up something sweet for my husband and me. Since it’s Saturday, here’s a sinfully sweet recipe that will definitely satisfy your sweet tooth….maybe even a little too much! I made these mud hen bars a while ago, but waited to post them since I nearly made myself sick eating so much! 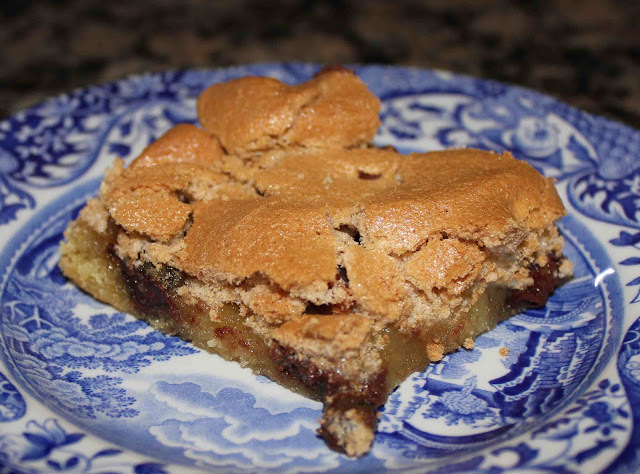 I have never eaten a cookie bar like this one, so I kept cutting myself another piece to make sure I “liked them”. I want to warn you…. these are very sweet! 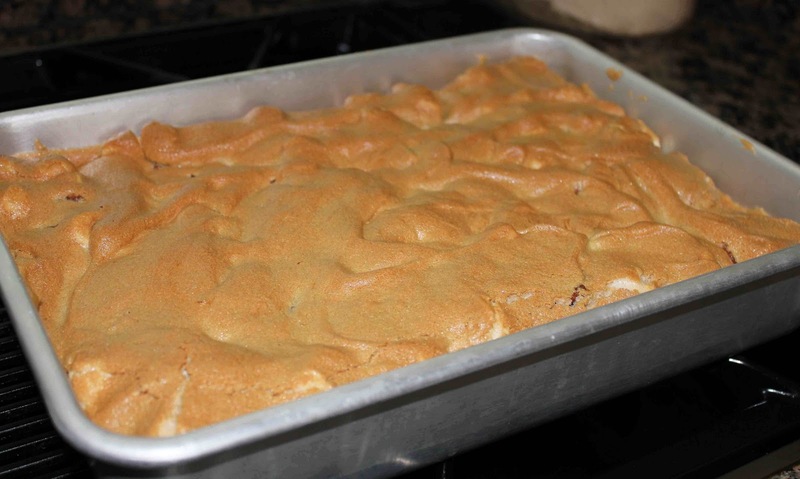 The brown sugar/egg white topping is surprisingly rich, so a little goes a long way. My husband thought these were “weird”, however my friend made these for a small group get-together at church and everyone loved them! What do you think? Do you have a love or hate relationship with mud hen bars? I would eat them again, plus they are very pretty. 1. Cream butter and sugar. Beat in 1 whole egg and 2 egg yolks. Stir in flour, baking soda, and salt. Mix well. 2. 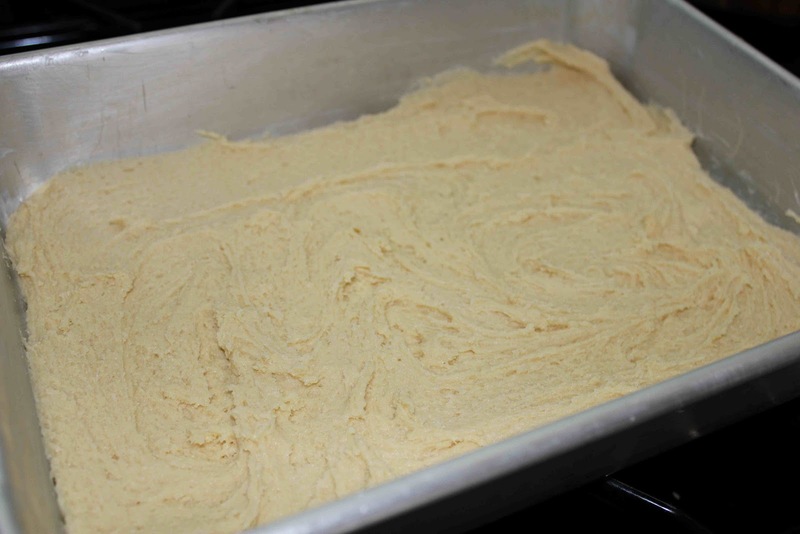 Spread into 9 x 13-inch pan which has been coated with nonstick cooking spray. 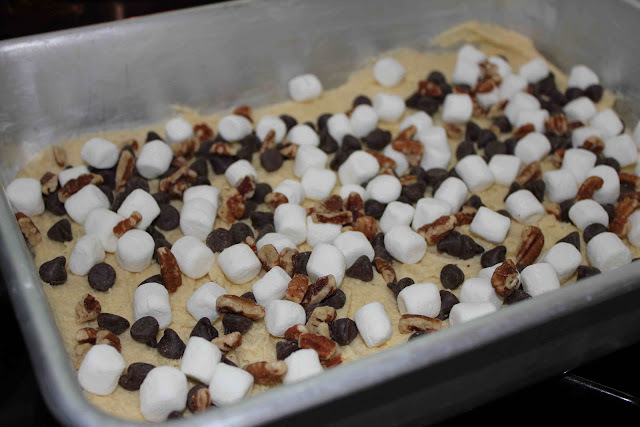 Sprinkle with pecans, chocolate chips and marshmallows. 3. Beat remaining 2 egg whites until stiff, then fold in brown sugar. Spread on top of cake. 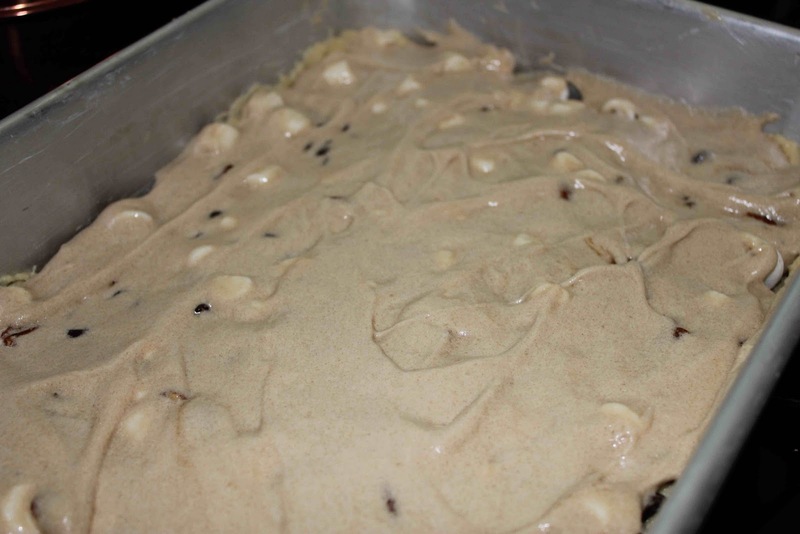 2 Responses to "Sinful Saturdays: Mud Hen Bars"
Glad you liked them and thanks for commenting!